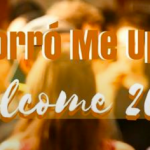 Forró is all about fun, meeting new people, and sharing the passion for this simple music and dance. Don’t know where to start? Come try one of the classes, and make sure to stay for the parties afterwards. You don’t need to have a dance partner, in the classes the teachers rotate partners regularly, which allows you to meet everyone. And then… don’t be shy, invite others to dance and you will enjoy yourself from day one! You may want to check out some practical tips here. New venue! Workshops focus on footwork/roots from 7.15pm and cost £10, then there is social dancing and party until 10:45pm, and the entrance is free! Wondering what to do on a boring Wednesday night? 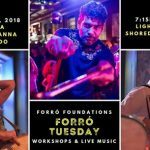 Come dance some forró! Different level classes are usually ran from 7pm to 8:15pm with Alexandra, Anax, Cleiton and team (or occasional guest teachers). Entry £8 class included, DJ and live music after the class. 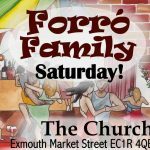 The aptly named Forró Family parties take place in the hall of a church rather than a bar, which helps create a truly friendly atmosphere. Julia and her brother Andy, helped by other members of the forró community, have been running this for over 7 years. The evening starts with 7pm classes (beginners/improvers, £7) and goes on with a party (£6, or £8 if live band). On special Sundays afternoons, it is time for a fantastic Fusion of Fun, Food & Forró with Friends and Family – Floripa is an excellent bar & restaurant just a few minutes’ walk from Old Street tube station, giving us the space to eat, drink and dance in the heart of London! This takes place about twice a month – check the facebook page below. 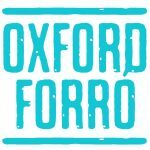 Join the fun every Monday evening in Oxford. The beginner/improver level class with Carlos Andre (from Forró London) is at 8-9pm (only £5). You can stay on afterwards for free social dancing or a chat while listening to some great Brazilian rhythms. 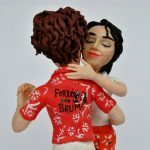 Forró is also in Birmingham! 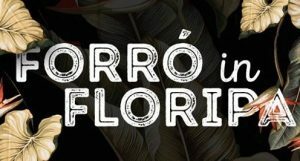 Live forró music and dance every month at Ort Cafe and weekly dance classes on Tuesdays for beginners-intermediates. Join the Facebook group to track events.